This statistic shows a ranking of activities internet users performed online at least weekly in Serbia in 2017. 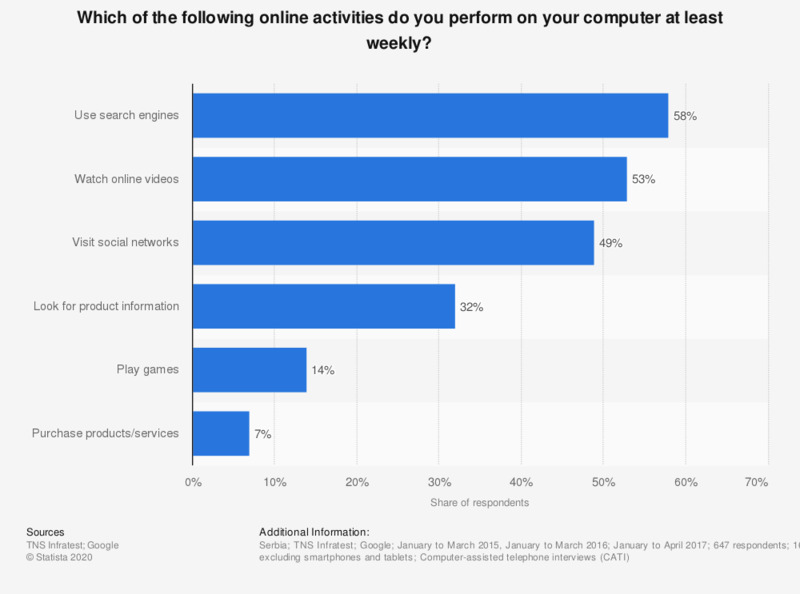 During the survey period it was found that 49 percent of the internet users visited social networks via desktop PC at least once a week. The original survey question was phrased by the source as follows: "How often do you - through your web browser or apps - ... on a computer?"